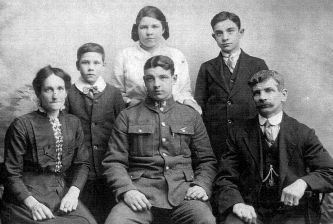 Watson sitting with his family just after enlistment. United Kingdom Private 39756Wiltshire Regiment27/05/1918 Age: 19 III. C. 4. United Kingdom Shoeing Smith 98945Royal Field Artillery22/05/1918 Age: 48 III. G. 4. United Kingdom Private 245086Durham Light Infantry29/05/1918 I. D. 5. United Kingdom Pioneer 37837Royal Engineers28/05/1918 III. C. 2. United Kingdom Private 81223Durham Light Infantry29/05/1918 Age: 18 II. E. 9. United Kingdom Private 52104Lincolnshire Regiment28/05/1918 III. B. 1. United Kingdom Private 85103Durham Light Infantry27/05/1918 Sp. Mem. 6. United Kingdom Serjeant 63483Royal Engineers27/05/1918 Age: 25 I. D. 2. United Kingdom Private 81652Durham Light Infantry29/05/1918 III. B. 6. United Kingdom Private 276023Durham Light Infantry29/05/1918 II. B. 6. United Kingdom Captain Northumberland Fusiliers28/05/1918 Age: 28 III. F. 10. United Kingdom Private 91826Durham Light Infantry29/05/1918 Age: 19 II. B. 8. United Kingdom Private 37942Leicestershire Regiment28/05/1918 III. A. 4. United Kingdom Second Lieutenant Royal Engineers28/05/1918 Age: 20 II. F. 8. United Kingdom Private 267171Cheshire Regiment30/05/1916 III. G. 2. United Kingdom Private 69737Northumberland Fusiliers15/05/1918 Age: 18 II. I. 7. United Kingdom Private 81401Durham Light Infantry29/05/1918 Age: 18 II. C. 1. United Kingdom Private 81244Durham Light Infantry29/05/1918 Age: 18 II. E. 8. United Kingdom Private 19505Durham Light Infantry27/05/1918 Age: 27 I. D. 4. United Kingdom Private 76469Durham Light Infantry29/05/1918 Age: 18 II. C. 7. United Kingdom Private 46505South Lancashire Regiment02/06/1918 Age: 30 III. F. 3. United Kingdom Private 91911Durham Light Infantry29/05/1918 II. D. 3. United Kingdom Private 40144South Wales Borderers28/05/1918 Sp. Mem. 4. United Kingdom Private 44864Royal Berkshire Regiment27/05/1918 II. H. 4. United Kingdom Regimental Serjeant Major 15556Leicestershire Regiment28/05/1918 II. E. 2. United Kingdom Private 37903Leicestershire Regiment27/05/1918 Age: 28 III. A. 3. United Kingdom Private 41054Leicestershire Regiment27/05/1918 II. C. 5. United Kingdom Serjeant 20137Durham Light Infantry27/05/1918 II. B. 3. United Kingdom Gunner 161502Royal Garrison Artillery26/05/1918 Age: 40 IV. B. 14. United Kingdom Private 1577South Lancashire Regiment29/05/1918 Age: 20 III. G. 3. United Kingdom Private 76478Durham Light Infantry29/05/1918 Age: 19 II. B. 9. United Kingdom Private 81612Durham Light Infantry28/05/1918 Age: 28 II. E. 5. United Kingdom Sapper 400283Royal Engineers27/05/1918 III. AA. 1/5. United Kingdom Private 34084Royal Berkshire Regiment27/05/1918 II. H. 3. United Kingdom Lance Corporal 31069Royal Engineers27/05/1918 III. AA. 1/5. United Kingdom Serjeant 13085Leicestershire Regiment27/05/1918 Age: 25 II. B. 2. United Kingdom Private 34494Leicestershire Regiment29/05/1918 II. C. 8. United Kingdom Lieutenant Durham Light Infantry28/05/1918 Age: 25 III. H. 10. United Kingdom Lieutenant Durham Light Infantry28/05/1918 Age: 25 I. E. 6. 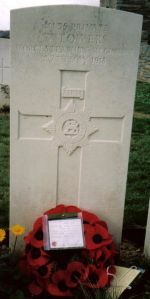 United Kingdom Private 91961Durham Light Infantry29/05/1918 Age: 27 II. B. 10. United Kingdom Private 69759Northumberland Fusiliers29/05/1918 III. C. 6. United Kingdom Private 29976East Yorkshire Regiment28/05/1918 Age: 21 II. E. 6. United Kingdom Private 40835Worcestershire Regiment27/05/1918 Age: 29 III. D. 2. United Kingdom Private 37468Wiltshire Regiment28/05/1918 Age: 20 III. E. 5. United Kingdom Private 42343Royal Berkshire Regiment27/05/1918 Age: 19 II. I. 5. United Kingdom Private 57569Sherwood Foresters (Notts and Derby Regiment)27/05/1918 III. D. 10. United Kingdom Serjeant 15084Leicestershire Regiment27/05/1918 Age: 23 II. C. 10. United Kingdom Captain Durham Light Infantry27/05/1918 I. B. 4. United Kingdom Private 44842Royal Berkshire Regiment27/05/1918 II. I. 1. United Kingdom Private 40036Leicestershire Regiment28/05/1918 III. C. 7. United Kingdom Private 81462Durham Light Infantry28/05/1918 Age: 18 III. E. 7. United Kingdom Shoeing Smith Corporal 51177Royal Field Artillery28/05/1918 Age: 42 III. H. 8. United Kingdom Private 22484Durham Light Infantry29/05/1918 III. A. 1. United Kingdom Private 53095Durham Light Infantry27/05/1918 Age: 27 II. E. 7. United Kingdom Private 31750Leicestershire Regiment27/05/1916 Age: 37 II. D. 8. United Kingdom Private 202927Leicestershire Regiment27/05/1918 II. A. 3. United Kingdom Private 77348Durham Light Infantry29/05/1918 I. C. 5. United Kingdom Private 91839Durham Light Infantry27/05/1918 Sp. Mem. 5. United Kingdom Private 315159Devonshire Regiment15/05/1918 Age: 19 III. G. 5. United Kingdom Private 79166Durham Light Infantry29/05/1916 Age: 19 Sp. Mem. 1. United Kingdom Lance Corporal 184465Royal Engineers27/05/1918 Age: 30 I. D. 1. United Kingdom Lance Corporal 276314Durham Light Infantry27/05/1918 Sp. Mem. 2. United Kingdom Sapper 546822Royal Engineers22/05/1918 Sp. Mem. 3. United Kingdom Gunner 327012Royal Garrison Artillery27/05/1918 II. I. 10. United Kingdom Private 10051Durham Light Infantry25/05/1918 II. C. 2. United Kingdom Driver 18678Royal Field Artillery27/05/1918 III. H. 9. United Kingdom Private 82453Durham Light Infantry29/05/1918 Age: 19 I. E. 1. United Kingdom Private 17392South Lancashire Regiment28/05/1918 III. F. 7. United Kingdom Private 13612Sherwood Foresters (Notts and Derby Regiment)16/05/1918 III. G. 6. United Kingdom Private 74082Devonshire Regiment26/05/1918 Age: 18 III. E. 1. United Kingdom Private 16819Leicestershire Regiment27/05/1918 I. B. 3. United Kingdom Private 60007Machine Gun Corps (Infantry)27/05/1918 I. E. 7. United Kingdom Sapper 47728Royal Engineers28/05/1918 III. C. 8. United Kingdom Private 35066East Yorkshire Regiment28/05/1918 Age: 20 Il. D. 4. United Kingdom Captain West Yorkshire Regiment (Prince of Wales's Own)29/05/1918 Age: 31 III. G. 8. United Kingdom Pioneer 137844Royal Engineers27/05/1918 Age: 35 III. AA. 1/5. United Kingdom Private 202497South Staffordshire Regiment27/05/1918 Age: 41 III. G. 1. 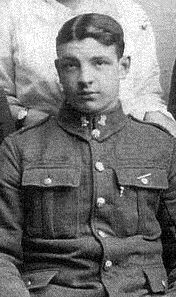 United Kingdom Lance Corporal 44026Durham Light Infantry27/05/1918 Age: 19 II. D. 5. United Kingdom Private 50710Royal Berkshire Regiment27/05/1918 II. H. 5. United Kingdom Private 69326Northumberland Fusiliers05/06/1918 III. A. 6. United Kingdom Private 27542Durham Light Infantry28/05/1918 Age: 26 II. G. 1. United Kingdom Shoeing Smith 65351Royal Field Artillery27/05/1918 III. D. 9. United Kingdom Private 202465Royal Welsh Fusiliers15/06/1918 Age: 30 III. B. 10. United Kingdom Sapper 100866Royal Engineers27/05/1918 III. AA. 1/5. United Kingdom Serjeant 16387Durham Light Infantry29/05/1918 Age: 30 II. D. 2. United Kingdom Private 41561Leicestershire Regiment18/05/1918 Age: 18 I. A. 3. United Kingdom Private 79188Durham Light Infantry27/05/1918 II. D. 6. United Kingdom Private 121875Royal Army Medical Corps27/05/1918 Age: 27 I. B. 1. United Kingdom Private 52730East Yorkshire Regiment28/05/1918 II. F. 3. United Kingdom Sapper 58095Royal Engineers28/05/1918 Age: 28 II. F. 6. United Kingdom Private 82491Durham Light Infantry27/05/1918 Age: 18 II. G. 3. United Kingdom Private 36858East Yorkshire Regiment25/05/1918 II. I. 6. United Kingdom Private 77516Durham Light Infantry29/05/1918 II. D. 7. United Kingdom Private 72300Cheshire Regiment27/05/1918 II. E. 3. United Kingdom Private 41135Worcestershire Regiment27/05/1918 III. B. 9. United Kingdom Private 55284Worcestershire Regiment27/05/1918 III. H. 5. United Kingdom Private 77529Durham Light Infantry29/05/1918 Age: 18 II. E. 10. United Kingdom Sapper 278588Royal Engineers27/05/1918 III. AA. 1/5. United Kingdom Sapper 506716Royal Engineers27/05/1918 Age: 30 III. D. 6. United Kingdom Private 41647Leicestershire Regiment27/05/1918 Age: 19 III. B. 3. United Kingdom Private 18082Durham Light Infantry29/05/1918 II. C. 6. United Kingdom Sapper 154660Royal Engineers27/05/1918 Age: 31 I. A. 2. United Kingdom Private 82530Durham Light Infantry29/05/1918 Age: 18 II. G. 2. 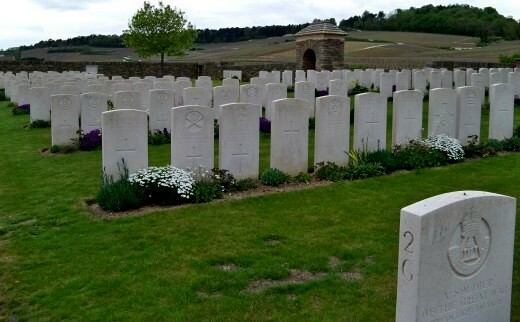 United Kingdom Private 35127Northumberland Fusiliers27/05/1918 Age: 22 II. D. 9. United Kingdom Private 82531Durham Light Infantry29/05/1918 Age: 18 I. E. 5. United Kingdom Lance Serjeant S/1908Rifle Brigade22/05/1918 Age: 21 III. G. 7.